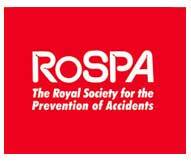 Reduce Risks, Preserve your Assets, Enhance and Develop Drivers Skills? Fleet Training Designed for cars, vans, Trailer Towing, LGVs and 4x4 Off-road driving. With rising costs of accident damage, injury and down time at work, assessing and training of fleet drivers has become a big part in the government focus on Health and Safety at Work. Employers have a duty of care to the employees with the aim of reducing the number of accidents and injuries. 95% of accidents are caused by driver error. In the UK 65% of company vehicles are involved in an accident each year. 90% of information we take in as drivers comes through the eyes. Upto 60% of our driving could be auto pilot? Minimise risk of an accident. Improve your driver?s attitude to driving and hazards. Reduce wear on brake and gear components. Less staff time off through injury. Safer vehicles on the road. Fewer prohibition notices and driving convictions. A reduction in the cost of fleet insurance. Reduce corporate and company liability. Defensive driving - for care and consideration for your vehicle, load and other road users. A Fleet Driver Training Package to suit your company. All drivers training involve a licence and eyesight check, and covers vehicle knowledge with a vehicle check. Fleet Driver Training is on a 1:1 or 2:1 ratio, starting with a short presentation followed by an assessment to identify driver’s strengths and weaknesses. The driver and trainer will discuss the drive, with the aim to improve the weak areas by dealing with the cause and build on the strengths. The trainer will introduce driving technique for fuel efficient driving that could give a saving in fuel and wear on major components. There is a drivers knowledge exercise. A debrief by the trainer will be given afterwards with an assessment and progress report. At JCL Driver Training, we offer pre-employement driver assessments, looking at the drivers knowledge of the vehicle they may drive, their driving ability and standard. 4x4 use Off-road / On-road driver training and assessment. 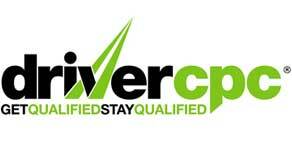 TRAIN YOUR DRIVERS TO ACHEIVE THE STANDARD TO TAKE THE ADVANCED DRIVING TEST.